It is perhaps the most important TV series ever made. It is not as well remembered as I Love Lucy, or Star Trek, or Seinfeld, or, for that matter, Gilligan’s Island, but the landmark 1960’s comedy-drama-adventure of I Spy opened doors that allowed television, and America, and even the world, to grow up. The comedy of I Spy was truly inspired. If it didn’t invent the buddy genre -- and we would argue that it did -- I Spy most certainly defined it. Using a coolspeak, a bantering of characters never before heard on television or in the movies, the chemistry between two actors has rarely been equaled. We loved to see Kelly Robinson and Alexander Scott in the recurring gag of the famous locked room. Not even Get Smart came close. There was the time Kelly fell for a beautiful American photographer, only to learn from Scott that she may be a double agent. The episode was called “Tatia.” There have been few instances in television where conflict has been better portrayed than in the scene where Kelly wanted to leave the hotel room to meet up with the woman in question … and Scott was equally determined that his colleague and friend would not leave. The time Kelly and Scott were chased by assassins and found refuge in the old farmhouse where Kelly had spent part of his boyhood. Culp wrote that one -- “Home to Judgment.” It taught us much about the tortured character of Kelly Robinson, and certainly ranks among a handful of hour-long TV episodes that represent television at its very best. In another Culp-written episode, Scott was held captive in a dingy back room of a brothel and drug den in Hong Kong. There, he meets a blues singing heroin addict who touches his heart so that, even after escaping, he risks his life -- and Kelly’s -- to return for the girl. It’s a futile mission -- the girl doesn’t want to be rescued. And, in that, we learned much about the darkness of drug addiction and the tragedy of low self-esteem. On another episode, Kelly has been tortured and, as a result, loses his courage; his sense of self. The shame he felt was both a profound and immensely difficult experience for those watching. A true hero had been brought to his knees and we, the audience, sat on the edge of our seats waiting for this man we so admired to find his way back onto his feet. One more: when Kelly and Scott were between assignments and were bored. To amuse themselves, Kelly bet Scott a dollar that he could evade his partner and hide in plain sight for several days -- then, the danger when it is learned Kelly had been exposed to anthrax that will kill him in 24 hours. Will Scott find him in time? Like no other series, I Spy could seamlessly switch from semi-comedy to dark drama. That took talent, and this series was filled to the brim with it. Beyond the quality of its story telling, with its atypical combination of humor, drama and high adventure, I Spy did what no other television series had done before -- it broke through the racial barriers of American TV. Would Star Trek, starting in the fall of 1966, have had its interracial cast without I Spy opening the door one year earlier? 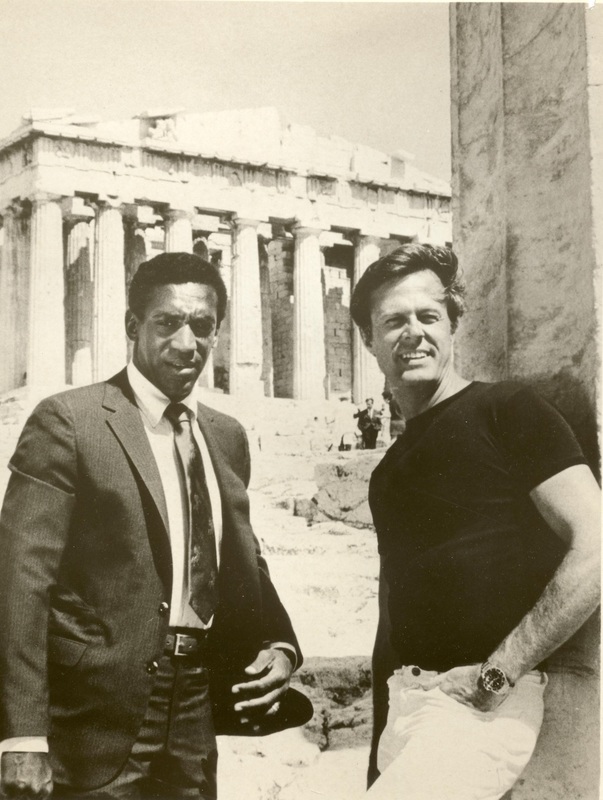 Would Greg Morris have been given a position on the “Impossible Missions Team” of Mission: Impossible in 1966? Would Ivan Dixon been a happy captive of Stalog 13 that same year, for the premiere of Hogan’s Heroes? Would Robert Hooks have been given a job as one of the detectives in N.Y.P.D., for the fall of 1967? Would Don Mitchell have been given a place at the side of Ironside, also in ’67? Would Gail Fisher have been cast as Joe Mannix’s girl Friday that year, on Mannix? Would Don Marshall have taken a trip into a Land of the Giants in 1968? Would “Link” have been made a member of The Mod Squad that year? Would Julia have found a sponsor in 1969, or Room 222? They owed everything to I Spy. The situation was that black and white in the fall of 1965 when I Spy first aired. 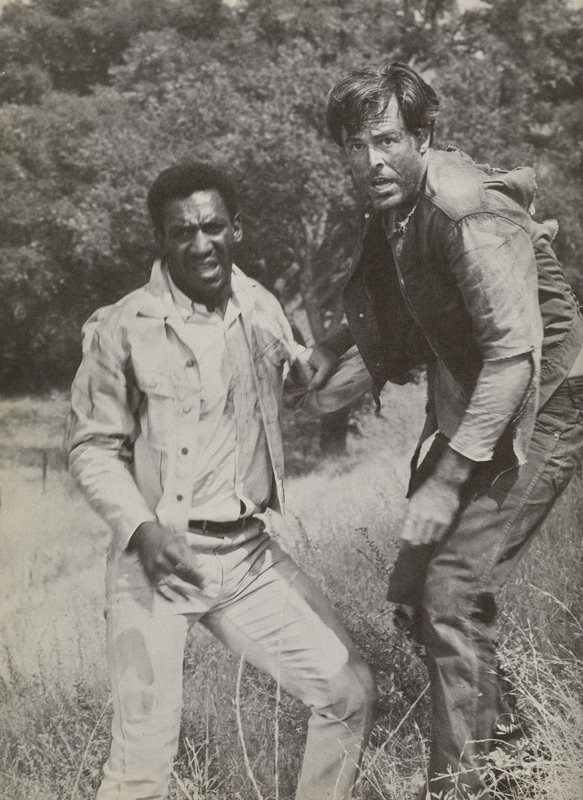 Interracial casting had been limited to stereotypical portrayals. But with I Spy, all that changed. I Spy did even more than this. Route 66 was the first American-made series to hit the road … but that road stayed within the boundaries of the U.S. of A. I Spy was the first to film around the world. It ushered in -- and often inverted -- the technology that made it possible, freeing television to finally escape the restrictions of the sound stage and studio back lot. The movies benefited, too. Big-budget films had traveled before, with all the heavy equipment and giant crews, and the immense costs of such productions. But now all movies could travel, and cameras and microphones could be put in places never before imagined … except on I Spy. Case in point, Steve McQueen pushed back the start date for the filming of Bullitt -- and the greatest car chase sequence ever caught on film -- until the summer TV hiatus (of 1967) when the I Spy location unit would be available to take those striking shots of McQueen’s fastback Mustang, both inside and out, as it and the car it chased bounced up and down the streets of San Francisco. The producers, writers, directors and technicians of I Spy worked hard and contributed much. 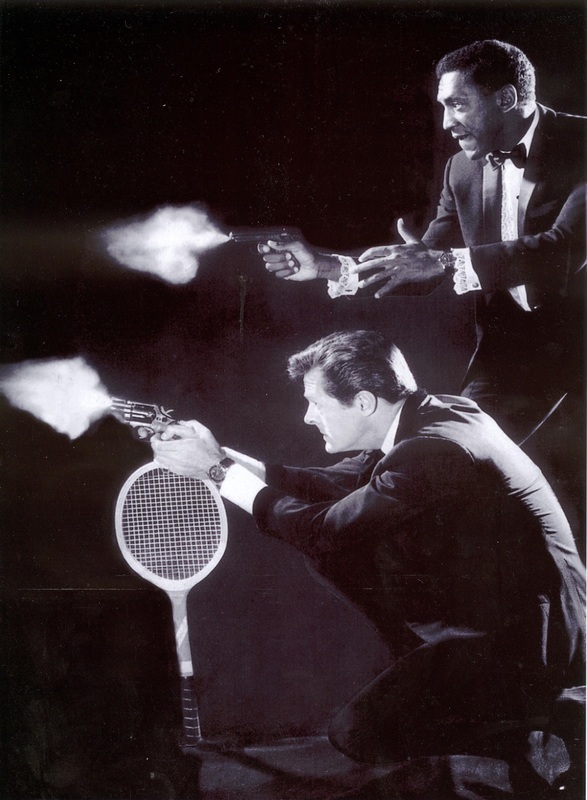 But, in the end, when each episode made it onto the NBC television network and played across our TV screens, I Spy’s greatest asset was clearly the multi-dimensional characters of Kelly Robinson and Alexander Scott, and the heartfelt portrayals given by the remarkably talented Robert Culp and Bill Cosby. Those two flesh and blood characters -- and the actors who played them -- were an inspiration to a generation. They were among our greatest heroes. It is true that time has sadly taught us how heroes can sometimes fail to live up to our expectations and hopes. Human nature, at best, is baffling and complex, and darkness sometimes blocks out the light. That’s real life. But I Spy became part of our real life, too. Robinson and Scott had such a profound impact on its viewers that they could not be considered anything less than real. We saw Kelly turn dark more than once as he dealt with his inner demons. We saw Scott do the same on fewer occasions, but they were equally intense. These men revealed themselves, inside out, and showed us that none of us are perfect. They also showed us the way toward brotherly love, compassion, loyalty, courage, and self-sacrifice -- all the elements found in true heroes. The world is certainly a better place because of a TV show called I Spy. And that means the world is a better place because of producers Sheldon Leonard, David Freidkin, Mort Fine, writer and star Robert Culp and co-star Bill Cosby. Yes, we feel sad and confused over the situation surrounding one of these stars, but that should not undue all the good done in his life, and all the good done by I Spy. It must not come to that. 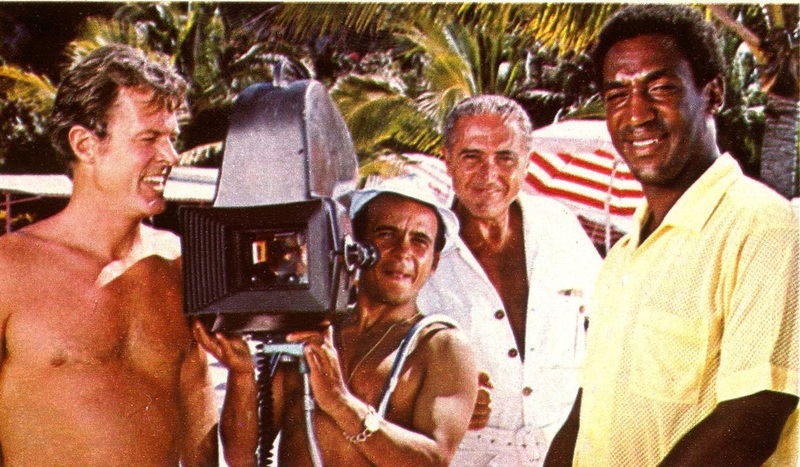 On this 50th anniversary, we celebrate the brilliance of Leonard, Friedkin, Fine, Culp and Cosby, as well as the others who served the series so well, such as the innovative location Director of Photography Fouad Said. In doing so, we cannot help but take joy in the “wonderfulness” of those two dynamic personalities on the screen -- Robert and Bill. Bless them for all they gave to us. Allow that to be their legacy, one we treasure. On this night, September 15, 2015, join us from your home as we, in our homes, watch some of our favorite episodes of I Spy. We will again be a generation united. And we will be smiling. authors, I Spy: A History and Episode Guide to the Groundbreaking Television Series.